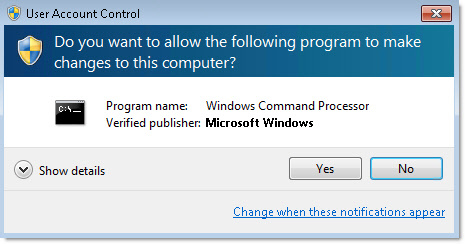 If you have been using Windows 7 (Or even Vista) for a while, you might have noticed something really annoying. Personally I will take the security risk of the standard apps and the elevated apps sharing the same set of mapped drives – before you do this you need to determine if this risk is too high for your situation. 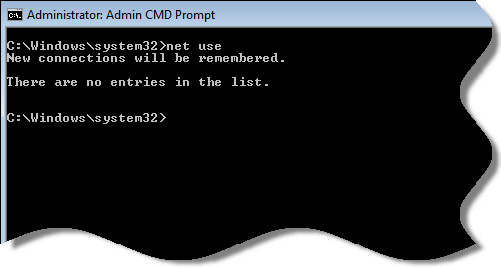 To get windows to share the list of mapped drives between both, you need to make a registry change. If you don’t want to plunk around in the registry, we have updated Network Administrator to do it for you. Just make sure you reboot after the change – it won’t take effect until you do. OMG Steve! This has been happening to me for quite some time, and I thought it was a bug. Never knew MS did this on purpose. So annoying when you have a program that requires admin access, and you can’t see any of your mapped drives. Any idea what type of security issue this creates? Good question. The security issue it creates is that if you have a drive that you normally mapped only in your elevated app, it would now become available to standard (non-elevated) applications. 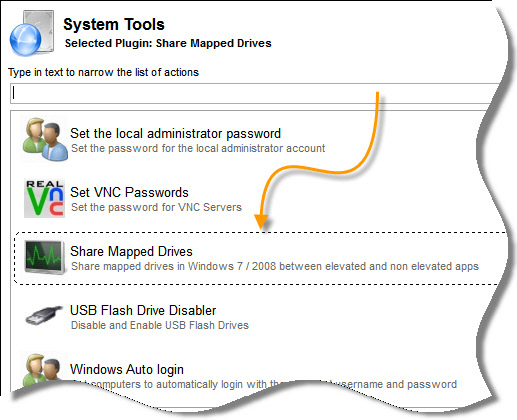 To be honest I don’t think I have ever mapped drives in that way, and can’t see why they would turn this behavior on by default – it is not like you can have permissions on shares that include “This user must be elevated before they can access it” So this “security” feature seems kind of silly. Still, everyone’s situation is different – so make sure it is a change you want to make.